Details of the license are given below. 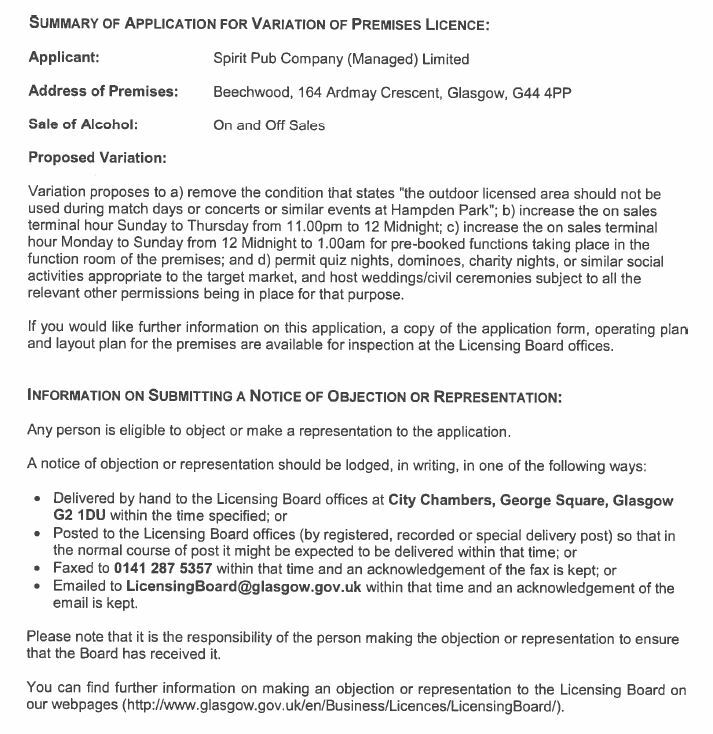 Please let us know what you think, and whether you intend to submit an objection to Glasgow City Council. We need more volunteers to help us represent the community interesting on licensing issues. Let us know if you could give a couple of hours each month.